Rising talent Saint Clair has released today her new single Amnesiac, the first single to emerge from forthcoming EP D2 due out in late November via her own Dearly Beloved imprint. This is a lush piece of R&B and Soul with dreamy vocals. Stream it below! Saint Clair - so-called after her mother’s Scottish ancestry - is the recording alias of French-speaking North Londoner, Emma Topolski. 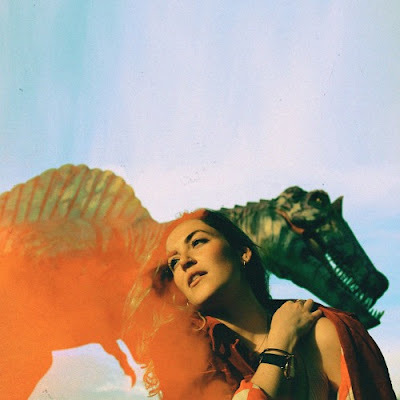 Having grown up surrounded by painters, actors, and journalists, Saint Clair became the first in her family to turn to music, pursuing a career trajectory that's so far taken her on the road as a backing vocalist for long-time friend Marling (in whose Reversal Of The Muse project she also participated, alongside HAIM, Dolly Parton and Marika Hackman), and seen her play keyboards and sing BVs for Ghostpoet. She has also supported Bastille on their most recent arena tour, as singer and bassist in emerging, Radio 1-supported rockers Childcare (recently appearing live in session for Huw Stephens). With her next London show booked for Hoxton Square Bar & Kitchen on October 9th, Saint Clair recently performed in London as part of Sofar Sounds & Amnesty International’s global ‘Give A Home’ event, which also saw the likes of Wild Beasts, Jessie Ware and Marika Hackman perform in venues around the UK.